Posted March 24th, 2019 by Mike Boyes & filed under Consciousness, Industrial Organizational Psychlology, Industrial Organizational Psychology, Intelligence, Learning. Description: How do you feel about self-driving cars? Would you trust your safety if they started driving though your neighbourhood (perhaps delivering packages or food)? What is a major challenge to computers (AI) learning to drive and to drive safely? Well, recognizing what they “see” so they can respond appropriately. A common position is that computers make mistakes that humans do not make such as not recognizing objects or animals that should lead to action changes. This leads to the related common belief that computers do not “think” like we do. The researchers whose work is discussed in the article linked below challenge this by trying to see if they could create conditions in which humans would “see things” the same way that computer do. How might our thinking about computer thinking and decision making be changed if we can see communalities in AI and Human perception and information processing? For an understanding of the problem give the article linked below a read (or have a look at the original research articled linked down below in the References section). Source: Researchers get humans to think like computers, Science News, Science Daily. So when humans are asked to respond to what they are seeing using the same options available to computers they look like they “thinking” in very similar ways. The human ability to look at images and decide what they “look like” as opposed to what they actually are (like cloud gazing) may be something humans do that computer are not allowed to do when they are learning how to drive (and other things). Being restricted to decide what everything you see really really is makes sense for learning how to drive and when we restrict ourselves to making those sorts of decisions, we start to act more like computers do in similar circumstances. 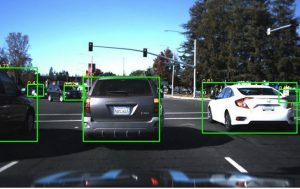 What this might mean for self-driving vehicles is not really very clear but perhaps it opens an avenue for us to develop a bit more empathy for what the computer in self-driving vehicles are going through! How does thinking about children as orchids and dandelions help us to more effectively examine child development? What does it mean to say that resilience is relational? What sorts of things should parents be trying to do for their orchid child(ren)? And what about for their dandelion children? Bojarski, M., Del Testa, D., Dworakowski, D., Firner, B., Flepp, B., Goyal, P., … & Zhang, X. (2016). 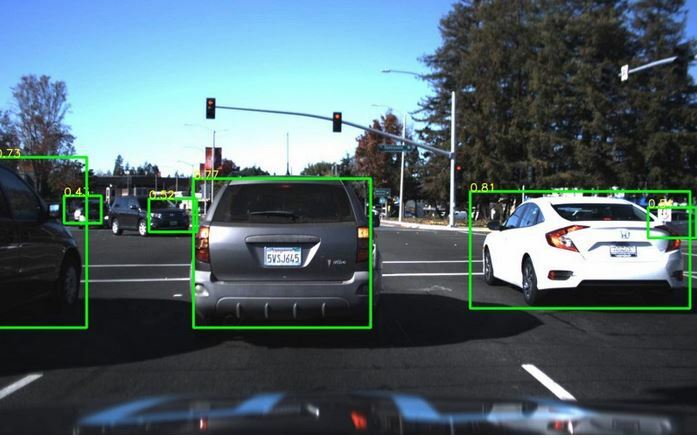 End to end learning for self-driving cars. arXiv preprint arXiv:1604.07316. Posted March 24th, 2019 by Mike Boyes & filed under Child Development, Families and Peers, Human Development, Stress Coping - Health. 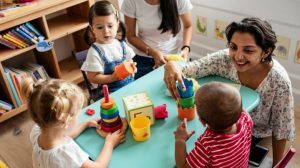 Description: Think of all the different ways in which you can think about and talk about developing children: shy – outgoing, independent – dependent, leaders—followers and on and on. All such dichotomies tend to focus on a part or aspect of children or child development and do not scale up well, into big pictures of how development can proceed and what differences might be useful in describing the process. So maybe we do not need any more dichotomies but let’s try one more on for size. Think about children you know and then think about which of them are orchids and which of them are dandelions. What images of development come to mind as you think about these two types of flowers? Well, orchids require very particular soils and environments to thrive whereas dandelions sprout up almost anywhere in almost any conditions. After you have thought for a moment or two about what the dichotomy might point to in the way of different developmental processes and outcomes have listen to the radio story that looks into what Thomas Boyce suggests about orchid and dandelion children. Source: Is your child an orchid or a dandelion? How one expert’s theory can help us raise better people, Anna Maria Tremonti, The Current, CBC Radio. This dichotomy between orchid and dandelion children is different and more useful that many other “there are two kinds of children” hypothesis mainly because this one does not dwell on basic or characterological differences between children. Instead Boyd asks us to consider the child within their entire developmental environment and, as well, not just how the child responds to their environments but how their environments (Parents, peers, teachers etc.) respond to them. Boyd points out that resilience is not a genetic-like attribute of children but is something that is relational and that exists in and through all of the social connections and relationships that children live in and grow up through. As the last bit of the sub-title of Boyd’s book suggests “All Can Thrive,” and thinking about orchids and dandelions helps us work on making that come to reality. Posted March 17th, 2019 by Mike Boyes & filed under Aggression, Child Development, Cultural Variation, Early Social and Emotional development, Families and Peers, Indigenous Psychology, Moral Development, Motivation-Emotion, Stress Coping - Health. Description: A huge part of growing up (well of developing and being “raised”) is learning how to self-regulate. Think of what small children do from time to time – they may have a tantrum when they do not get their way, they may eat all the cookies on the counter, they may be distracted by their toys when asked to go and collect the car keys they “borrowed” for a game in their room, etc. etc. Self-regulation, or the lack thereof covers all of those examples of child behavior. Another example and a participially important one developmentally is anger management. The ability to control or manage ones’ anger is an important prerequisite to being ready to enter the social world starting with preschool and kindergarten but also involving peer relations and all social contacts. A recent radio documentary described an alarming jump in incidents of violence perpetrated towards peers, aides and teachers in early grades within elementary schools in Ontario, Canada (you can listen at the link in the References section below). So, it maybe that parents need some advice about how to help their children develop self-regulation, especially as it relates to anger management. A cultural group that has been astoundingly good at just that sort of self-regulation development is the Inuit of Canada’s north. 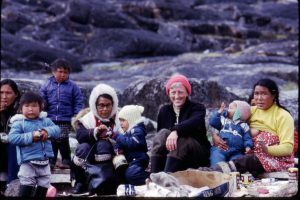 Read the article linked below for a fascinating account of the early work of Jean Biggs and the follow up by the author of the linked article looking at just how the Inuit address the issues of self-regulation and anger among their young children. Source: How Inuit Parents Teach Their Kids to Control Their Anger, Michaeleen Doucleff and Jane Greenhalgh, Goats and Soda, NPR. So, do you think the Inuit approach to helping children deal more socially and positively with their anger makes sense? Note that their approach runs at a number of levels. First they indicate that parents need to keep in mind that while their children may well be “pushing their buttons” remaining calm and not responding to child anger with adult anger keeps parental blood pressure low AND models self-control to their children. It works by not responding in the moment that the child is displaying anger but, rather, later and in a story telling (with moral) manner. Finally, their entire approach makes clear to everyone (children included) that acting in angry ways is considered immature and childlike and has no place in the larger social environment of the family and local community. Teaching strength in a playful manner sounds like a very positive approach to facilitating the development of self-regulation. Worth thinking about and perhaps trying out. What is self-regulation and why is it an important issue in development? List out as many things that you can think of in the way of “signs of emerging maturity” that reflect aspects of developing self-regulation. How do the Intuit go about helping their young children to develop control over their anger and anger related behavior? Briggs, J. L. (1970). Never in anger: Portrait of an Eskimo family (Vol. 12). Harvard University Press. Posted March 17th, 2019 by Mike Boyes & filed under Depression, Legal Ethical Issues, Psychological Disorders, Stress Coping - Health, Treatment of Psychological Disorders. Description: Perhaps hearing or reading that there is a strong relationship between rates of depression and socio-economic status (SES) would not be a surprise to you. 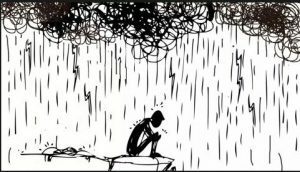 While it may lead you to start to ponder what the connections between poverty and depression might involve it is worth stepping back from that important line of potential thought and inquiry for moment and thinking about the implications of this for social policy and particularly for the funding and the provision of mental health care generally. The ongoing debate about health care in the United States is one thing that makes Canadians, such as me, feel a bit smug about what we have in place in our country in the way of universal health care. However, any sense of superiority is short lived when one steps back and considered mental health care in which Canada is pretty much as “everyone for themselves” as is the United States. Across North America, rates of depression are higher among the lower SES ranks and access to treatment is significantly lower there too. Have a read through the article linked below and think about how the srearch findings it discusses may apply to your country of residence. Source: Education Level Predicts Depression Rates and Access to Care, Guy Winch, The Squeaky Wheel, Psychology Today. The issue of access (or rather the lack thereof) to mental health services is discussed in the linked article form the American perspective but, as I noted above, it is a North America-wide issue. I have previous posted a number of times about a set of articles by the Globe and Mail looking at this issue in Canada (see links in the References list below). It is becoming increasingly clear that the line that we seems to have drawn between how we treat mental and physical health issues is a very problematic on and one which needs to be looked at seriously. What is the relationship between SES and the incidence and treatment of depression? Why is there a relationship between SES and the incidence and treatment of depression? What are some of the things we should be looking into as possible ways to address the SES depression (and mental health in general) relationship? Todd, M., & Teitler, J. (2018). Darker days? Recent trends in depression disparities among U.S. adults. American Journal of Orthopsychiatry. Advance online publication. Posted March 17th, 2019 by Mike Boyes & filed under Abnormal Psychology, Anxiety OC PTSD, Clinical Neuropsychology, Consciousness, mental illness, Neuroscience, Psychological Disorders, Somatic Symptoms Dissociative Disorders. Description: If you watched Heath Ledger’s version of the Joker in The Dark Knight (Batman) film you saw an amazing piece of acting – of method acting. Ledger was a method actor meaning that he got into his character by essentially becoming the Joker and, it is said, stayed there on and off set throughout the entire time that filming was going on. For all intents and purposes, he was the Joker. Now it is one thing to say that, based on what it looks like to see Ledger as the Joker or other actors as other characters from the outside as observers but what actually goes on within the brains of method actors when they take on a character? Sort your own hypotheses out and then listen to the radio story in which a researcher who has utilized MRI scans to look into the brains of actors in character and as themselves. Source: Actors’ brains have different activity patterns when they’re in character, Quirks and Quarks, CBC Radio. So, when they are in character, the parts of the brain that actors use when asked questions about their “real” selves when out of character were less active. The researcher suggests that acting may involve a loss of self. 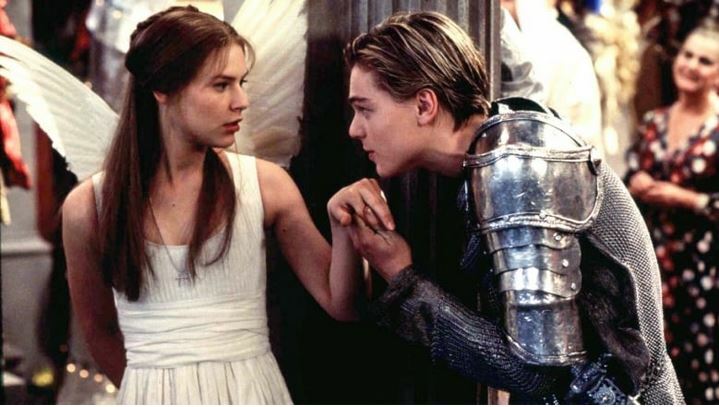 In addition, a brain area called the precuneus is activated when the actors are in character. This area of the brain seems to be involved in the division of attention between two things, in this case between the “real” self and the character the actor is portraying, essentially splitting consciousness in order to play the role but also to continue to keep track of one’s other local professional responsibilities (like where the camera is etc.). While this is interesting in an of itself, for me at least, it peaks curiosity about what this line of research might suggests about how conditions like multiple personality or dissociative disorder and fugue state amnesia might be found to be mapped within the brain. Now there are some interesting research “next steps”!! What is involved in an actor playing another character, in terms of how that task might be mapped onto (function within) the brain? What are some areas of human self-functioning (or forms of mal-functioning associated with mental disorders or conditions) that might be linked with this research on actors’ brains while they are in character? Posted March 10th, 2019 by Mike Boyes & filed under Consciousness, Intergroup Relations, Motivation-Emotion, Research Methods, Social Psychology. Description: OK, quick, without any reflection, answer these questions: Do animals have emotions? Or do they have the same emotional range and depth that we do? If you are like most people you probably hesitated a bit even if you decided to answer yes to either of those questions. Why hesitate? Well, maybe your feelings about the questions go back to the general notion that we humans like to think of ourselves as special and different and most certainly not just another one of the animals on our planet. A number of years ago my Labrador Retriever took advantage of an open gate and wandered off to explore the neighbourhood. She was apprehended by the city animal control people (the dog-catcher) and I was contacted to come down to the pound and bail her out. When you arrive there (in my fairly large city) you are directed to look at a bulletin board covered with dog “mug shots” to see if you see your dog. I was struck at the time that my dog, who was definitely there on the wall of shame, seemed to me to have a look on her face reflecting an array of emotions that boiled down to “I’m in big trouble”. When I paid the fine and “sprang” her we were both quite happy to be re-united. Anyway, the article linked below asks us to challenge the assumption that some or any emotions are the sole preview of human beings and consider how we might investigate whether animals experience emotions and if so which ones, to what degree, and under what circumstances? Give it a read and see if it shifts any of your assumptions about animals and emotion. 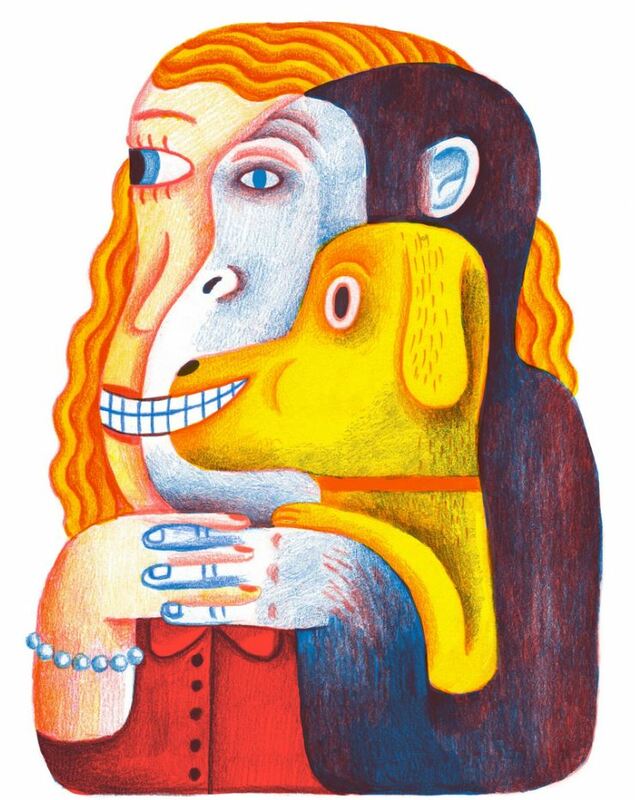 Source: Your Dog Feels as Guilty as She Looks, Frans de Waal, The New York Times. Photo Credit: JooHee Yoon, The New York Times. So, what do you think now? There are a number of methodological issues to looking at animal emotions beyond examining our own assumption. Certainly our dogs may look ashamed when we speak sternly to them and happily ignore their transgressions when we do but the case of Lorenz’s dog that bit him in the frenzy of a dog fight Lorenz was trying to break up cannot seem to reflect anything else than deep guilt and shame. A quite touching emotional display can be seen in this video of a 60 year old chimpanzee who is old and dying in a zoo and is visited by one of her favourite, retired, caregivers ( https://www.youtube.com/watch?v=EJJVGasSHK0 ). See that and then tell me you want to withhold emotions from animals. So, perhaps, it is well past time that we all put on our rain faces and get on with an look at emotions that is not humancentric. What are some of the ways in which studies or situations have been designed to look at emotions in animals? Why is it that we (humans) seem hesitant to attribute to or see emotions in animals?? De Waal, Frans, (2019) Mama’s Last Hug: Animal Emotions and What They Tell Us About Ourselves, Norton. Preston, S. D., & De Waal, F. B. (2002). The communication of emotions and the possibility of empathy in animals. Altruistic love: Science, philosophy, and religion in dialogue, 284-308. Posted March 10th, 2019 by Mike Boyes & filed under Aggression, Child Development, Neuroscience, Personality, Social Influence, Social Psychology, Social Psychology. Description: I have posted about the Dark Triad (Machiavellianism, Narcissism and Psychopathy) before which suggests how some poor or bad behavior in others might be accounted for, but what about large-scale evil? An ongoing question has been to wonder what array of circumstances, conditions, and characteristics come together to produce truly evil people such a Hitler. If you have wondered about such things then have a read through the article linked below which discusses a recently released book that looks closely at what the available and recent research in Neuroscience, Psychology and other disciplines suggest as possible contributors to the production of evil or evil acting people. Source: The Science of Evil, Katherine Ramsland, Shadow Boxing, Psychology Today. 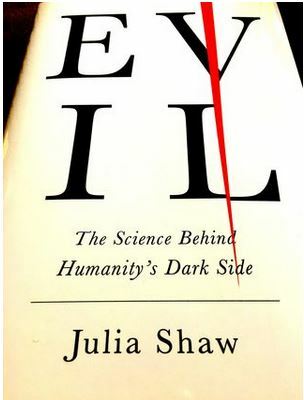 The main message from the book reviewed in the article linked above seems to be that evil or rather people who act in evil ways, are born AND made, shaped by the contexts in which they grow and develop and in the social and historical contexts in which they find themselves. Social situations CAN be very powerful but then so can the drive within some people to take advantage of the situations they find and those which they nudge or outright create. How might we define “evil” using Psychological theories and research? Does it make sense to say that some individuals are evil? Was there anything in the article that surprised you or drew you to reconsider something you used to simply hold to be true? Posted March 10th, 2019 by Mike Boyes & filed under Anxiety OC PTSD, Consciousness, Intervention: Adults-Couples, Motivation-Emotion, Research Methods, Stress Coping - Health, Stress: Coping Reducing, Student Success, Treatment of Psychological Disorders. Description: Have you ever heard that writing might be good for you? I do not mean that taking English classes is good for you (though it might be) but rather that writing about anything from past traumatic life events to future hopes and aspirations might actually not only help you cope with past trauma or plan a better future, but it may also improve your psychical and psychological health and wellbeing. The work of James Pennebaker looked at using expressive writing as a means of helping individual struggling with symptoms of PTSD to deal with the traumatic events in their past and to hep them move into a better place of wellness and wellbeing. 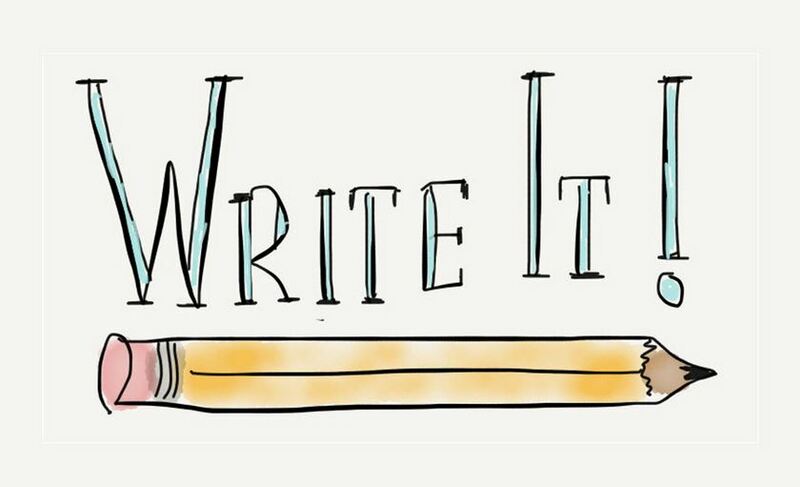 Since it early days the technique of expressive writing has been expanded to include other writing topics such as future life planning with results typically being reported to be positive and wide ranging, including positive changes in mental and physical heath and welling. What are we to make of the breadth and depth of the findings reported relating to the positive effects of expressive writing? Well perhaps what we need is a systematic meta-analysis that gathers together the research data from a broad range of studies on expressive writing, focused on dealing with symptoms of PTSD, and tries to pol the results and closely examine not just the results of a number of studies on expressive writing by also the rigor , or lack thereof, with which the studies were designed and whether they were focused upon similar or diverse psychological conditions or situations. That is what a good metanalysis can do and as well it can potentially speak to the actual size of the effects of, in this case, expressive writing on the symptoms associated with PTSD. As you look through the original metanalysis research article linked below pay close attention to the questions it asks, the methodological issues it examines and at what it offers in the way of general findings regarding expressive writing. Oh and do not be daunted by the effect size math in the paper, just skip over that and read the written parts (unless you find it intriguing!). Photo Credit: University of New Hampshire, Wildcat Wellness. Meta-analytic studies can get a bit thick at times given that they are trying to pool the data from a, sometimes large, number of studies in ways that ensure that the right things are being pooled and that distinct things are looked at separately. One of the most interesting findings in this particularly meta-analytic study is that the effects for expressive writing were significantly stronger when the people in the studies were more rigorously screened for a PTSD diagnostic profile suggesting that the technique works better when it is more appropriately applied. Meta-analytic studies can help us get important things like the effectiveness and targeting of treatment programs right and ensure that what IS being done IS working for those that need assistance. 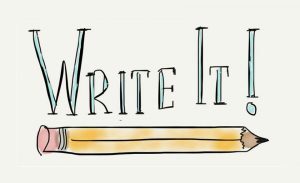 What is Expressive Writing and what can/should it be used for? What is a meta-analytic study and why might it be important to do one (or many)? What is the relationship between meta-analytic studies and practice policies and ethical guidelines relating to therapy and treatment? Posted March 3rd, 2019 by Mike Boyes & filed under Higher-Order Cognitive Functions in Aging, Intelligence, Language-Thought, Memory, Motivation-Emotion. Description: We would all like to think that we are well aware that politicians sometimes play fast and loose with the numbers related to issues and that we are not likely to be fooled by them when they do. The reality, however, is that we buy more of what we hear politicians say about the numbers or statistics behind issues both than we should AND than we think we do. Why might that be? Once you have your hypotheses in order, read through the article linked below for a concise overview of a number of lines of research that addresses these questions. 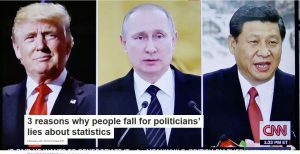 Source: 3 reasons people fall for politicians lies about statistics, Mack Clayton Shelly, II, The Conversation. There are lies, damned lies and statistics and a huge debate about just where THAT quote was first offered (https://www.york.ac.uk/depts/maths/histstat/lies.htm). Being able to think critically about statistics is as important as being able to think critically about research findings that are reported or sometimes just tossed around by people trying to convince us of something. We do not generally do very well with numbers and particularly with probabilities which are at the heart of statistics. In addition, we do not think logically about the information we review when we try and inform ourselves about an issue. Instead, we are likely to suffer from confirmation bias where we are more likely to note and remember information that supports rather than challenges our previous beliefs (even or especially when they were already less than fully informed). And lastly, the less we know about something the more we are likely to overestimate what we know about that subject. The Dinning-Kruger effect can get us into all sorts of trouble (for more about that listen to the podcast linked in the Further Reading Section below). What should we do about this? Well, spend some time reflecting on what it means to think critically would be a good start! What sorts of things get in the way of our avoiding being led around by politicians’ playing fast and loose with numbers (statistics)? Thinking about each of the reasons suggested for why we are led along by politicians mis-use of numbers and come up with one or two things we could do or try and do to avoid or reduce being misled. Are there any good (adaptive) reasons for why we do the sorts of things outlined in the article? Posted March 3rd, 2019 by Mike Boyes & filed under Consciousness, Health Psychology, mental illness, Motivation-Emotion, Research Methods, Stress Coping - Health, Stress: Coping Reducing, Student Success. Description: Life is not a walk in the park. Have you heard that saying? It is usually taken to suggest that life, at times at least, is not easy, but what if we put it slightly differently by saying that life should include regular walks in the park. What about THAT might be good for you and why? Sure, the exercise would be a good thing. Sure, taking time out of your day to have some down time by walking through a park could also be a healthy way of dealing with stress. But what if, beyond those sorts of things, simply being in nature (in a park) was psychologically good for us? How would we look into THAT question? Well think about it for a moment and then read the article linked below to see how some recent research looked into that question. 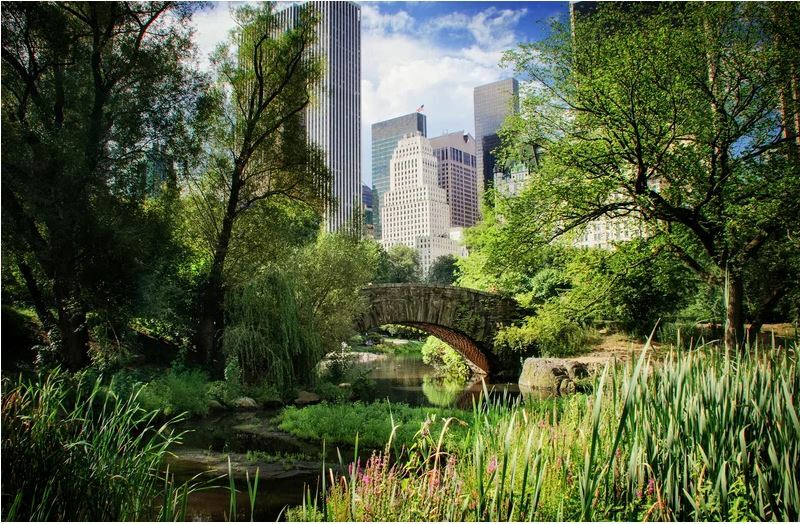 Source: Spending Just 20 Minutes in a Park Makes You Happier. Here’s What Else Being Outside Can Do for Your Health, Jamie Ducharme, Time.com. So, being in nature is good for you even if you do not go into nature to exercise (though the two things together are REALLY good for you). In designing their study, the researchers’ whose work was discussed in the linked article, were careful not tell their participants what their study was about. That is important because demand characteristics do not have to consist only of researchers hints and pressure for certain types of responses but sometimes it is simply enough for participants to have a sense of what you are hoping to see in order for them to try and provide you with it. Participants were just asked to spend time in a park and were not even told how much time to spend in the park. The result that ratings of subjective wellbeing increased significantly in 60% of partivpants even if they did not exercise while in the park suggest that simply being in a greenspace is enough to provide a bump in wellbeing. The data supporting this sort of finding is strong enough now that physicians in some jurisdictions are prescribing parks to quite a few of their patients with a variety of conditions. So, self-prescribe some park the next time you are feeling a bit stressed (or find an indoor green opportunity for cold winter high stress days). Why did the researchers NOT tell their research participants exactly what their study was looking at? Why did the researchers NOT tell their participants what to do in the park? Why might it be that simply being in nature is good for us? Yuen, H. K., & Jenkins, G. R. (2019). Factors associated with changes in subjective well-being immediately after urban park visit. International journal of environmental health research, 1-12.